I've just been reading an interesting article based on a study called "Determining bicycle infrastructure preferences - A case study of Dublin". It was published in 2012 by Brian Caulfield, Elaine Brick and Thérèse McCarthy. 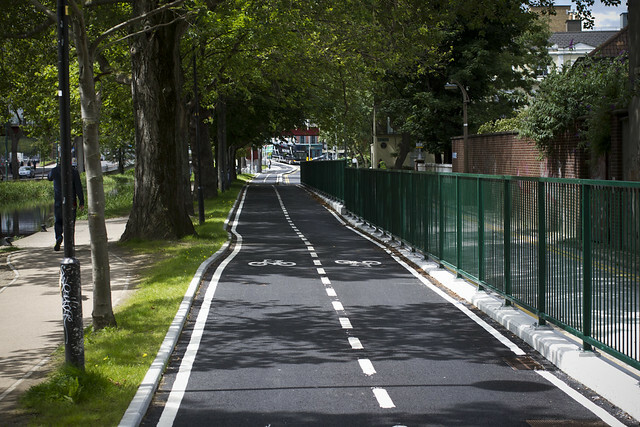 In short, it assessed users' preferences for bicycle infrastructure in Dublin. The National Sustainable Transport Policy in Ireland included in its plans to "reduce work-related car commuting by 45-65%". In addition, it aims to have a modal share of 10% cyclists by 2020, which means that cycling is now, more than ever, in the spotlight in Ireland. The research involved talking to the users and documenting their preferences for cycling facilities. They differentiated between avid cyclists and regular bicycle users. The preferences of the respondents were divided by gender, how confident they were at cycling (five categories from 'completely confident' to 'not at all confident'. Direct routes: Both experienced and non-experienced cyclists alike (56.4% in all) stated this was the most important preference. Infrastructure type: The off-road bike path was the number one preference under the cycling infrastructure options. This was followed by green lanes. The least preferred option was “no-lane”. Adjacent traffic speed: Respondents prefer lower adjacent traffic speed. 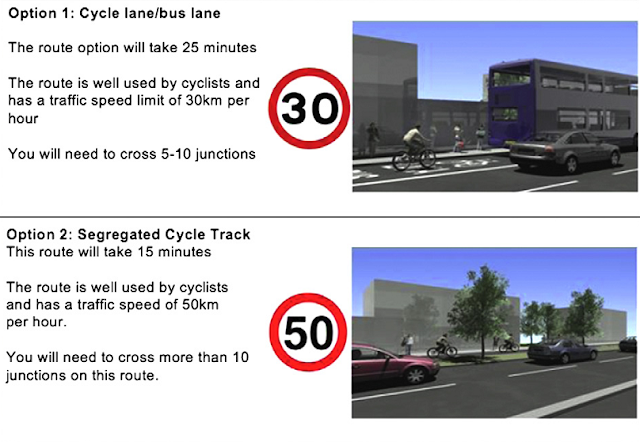 Traffic volumes: 69.1% of respondents said that lower car traffic volumes would encourage them to cycle more. Among other results, it is clear to verify that an adjacent traffic speed of 30km/h is more important for women than it is for men. Another interesting fact is that off-road bike paths have higher significance for respondents with less confidence. The results mirror what we know from many other cities with mainstream bicycle culture. Citizen cyclists want infrastructure. If you build it, they will come.